Wands at the ready! Whether you’re a Hufflepuff or a Slytherin, from an old wizarding family or new to the wizarding world, your magical journey usually begins at Ollivanders wand shop. In this spellbinding hardcover book, Harry Potter film fans of all ages can explore Ollivanders and learn what makes a wand. 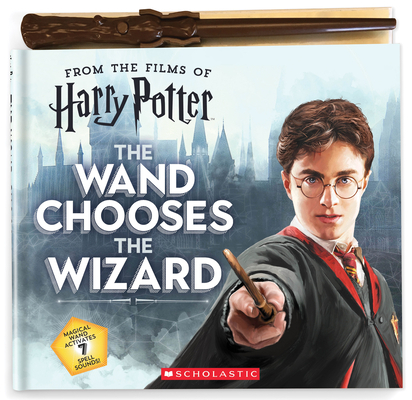 Then take a wand for a spin as you discover the most magical moments from the Harry Potter films in this incredible book! The wand included activates seven different spell sounds. Simply perform the proper wand motion, hold the wand over the spell you wish to use, and tap the button. It’s just like magic!